Staycation you say? 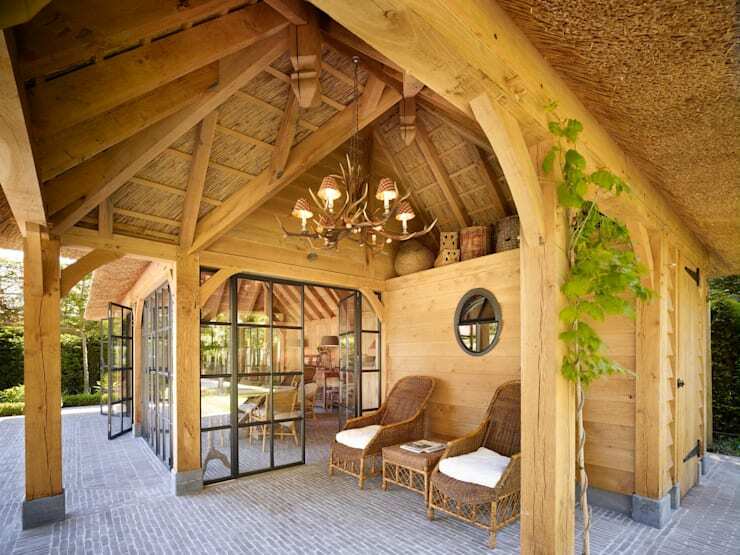 Well we're lucky enough to get an exclusive look at this small yet absolutely dreamy vacation home that simply proves wood and other indigenous materials can go a long way in talks of sophistication. Of course, a good architectural and interior design eye or professional assistance on those departments factor in a lot. But we won't keep you longer so go right ahead and read on! 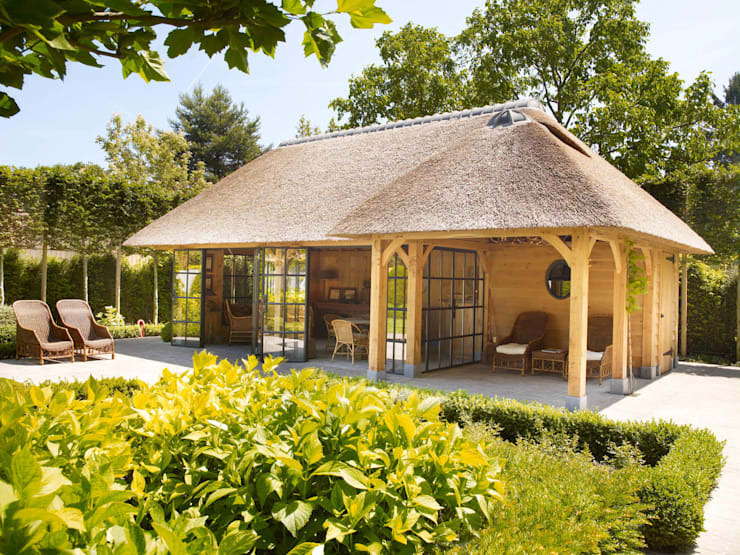 Rasenberg exclusieve tuinpaviljoens & eiken gebouwen b.v. Since the house is pretty small, the architects were faced with the challenge of maximizing space. Here you will find the toilet tucked on one side of the facade. In fairness, it's interior design definitely attracts with the neat wall framed details. 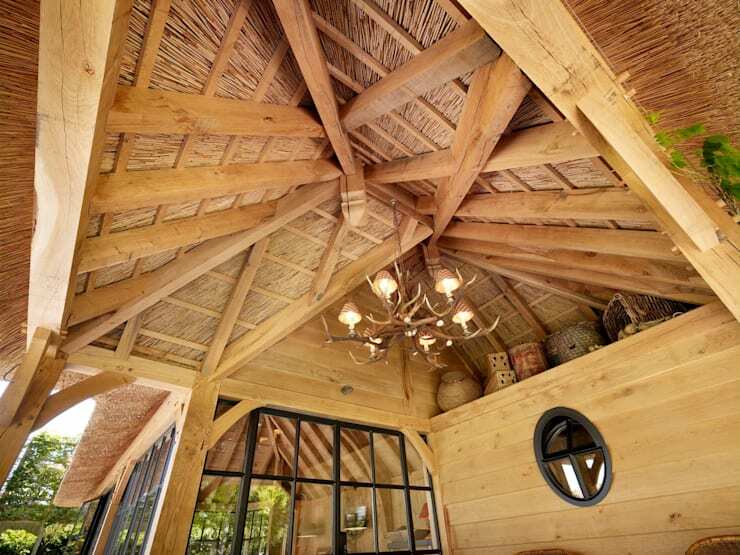 The ceilings reveal the intricate wooden framework that supports the straw material. One brilliant way to enhance this is by adding eye-catching light fixtures like the country-style chandelier on this area. To keep things even more interesting, the top space by the ceiling has been utilized as a storage shelf for wicker products that double as decorative items. The idea really is to enjoy the moment like it's vacation all year round and this lovely patio provides you just that. The nice reclining wicker furnishings here set the relaxing tone, to be complemented by the rest of the natural materials here. It's also an absolutely accessible area since the interiors, through this industrial tall glass windows, open to it. 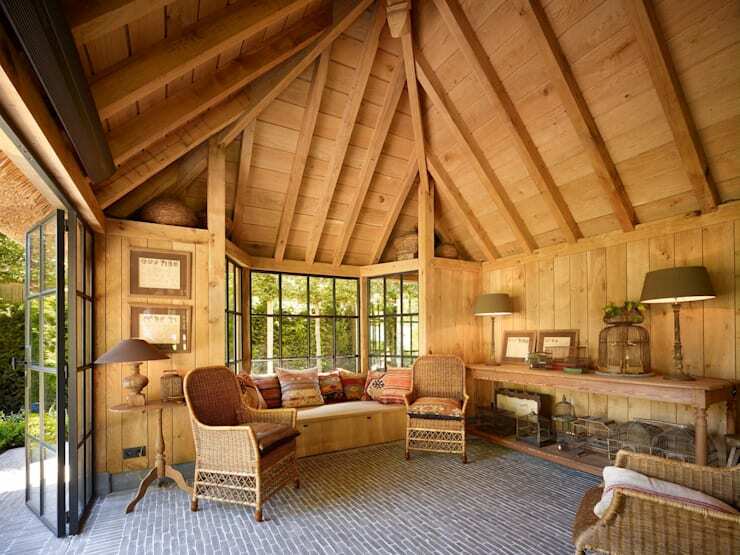 The living room is filled with rustic furnishings to match the rustic vibe of the open ceiling, the all-wood interior, the lush view outside, and even the brick-tiled floor! You also have got here a set of antique items that likewise serve as ornaments. Another thing we cannot miss is the alcove that adds to the seating capacity of the room. Surely, this space is well-lighted, save for when it gets gloomy outside. 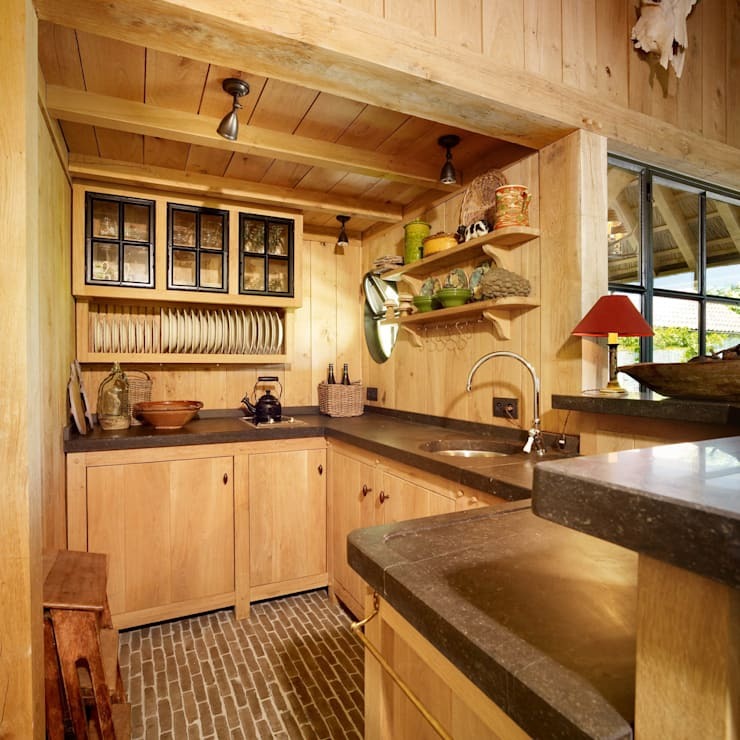 The kitchen, like the rest of the interiors, is made mostly of wood in a refreshing shade of light brown. The brick tiled floor of the outside continues also in here with the special participation of granite for the counter tops. In spite of the small area, this kitchen was able to organize and equip itself to be at par with any other fancy, sensible kitchen out there.